N.S.W. 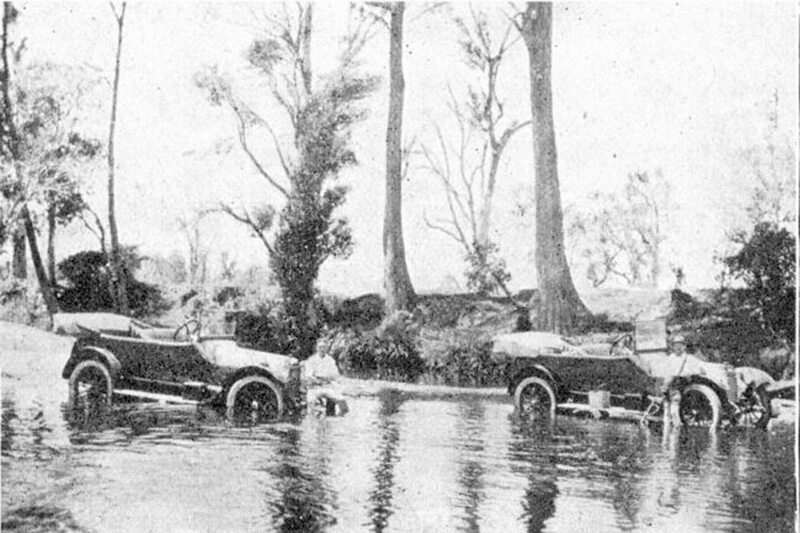 The accompanying photograph was sent to us showing how cars are washed on the Northern rivers. We were most surprised when we heard that the cars were immersed in the river for washing purposes and that they still stand up to their work and are giving the same satisfaction as cars used in the city that are washed in proper garages. The photograph was taken by Mr. A. J. Clayton, traveling representative for Messrs. Mclntosh & Sons, Ltd., Sydney, N.S.W. 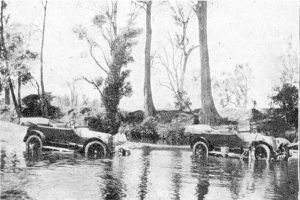 Mr. Clayton hails from Great Britain and was so awfully surprised at the way they washed the cars on the Northern rivers that he sent in a photograph.